Allergic to flowers? Flowers not their piece of cake? 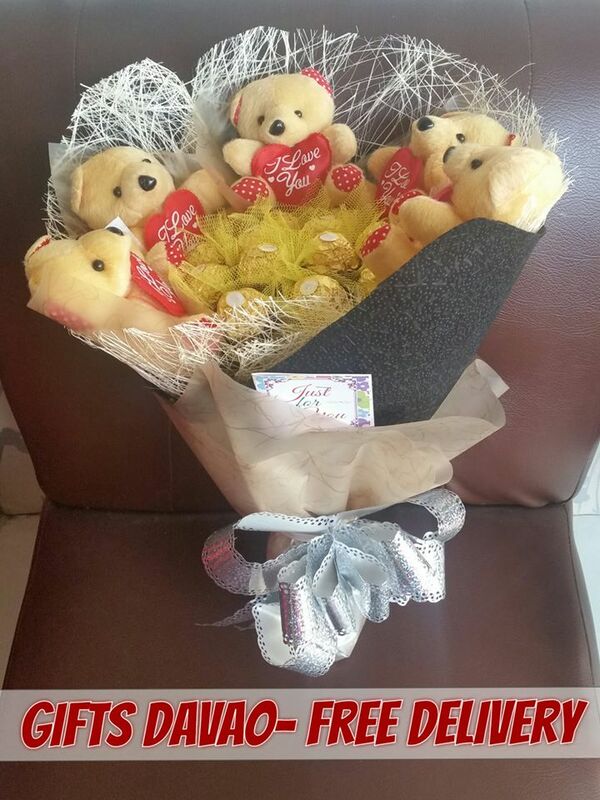 A dozen Ferrero Rocher bouquet with 5 mini bears is the perfect alternative. Express your sweetness in the cutest way possible. Also perfect for those in a budget! For only P1700, you get to paint a big smile on someone’s face. What’s more, this comes with free delivery and card! Super sweet and super affordable, isn’t it! Want something more classic? 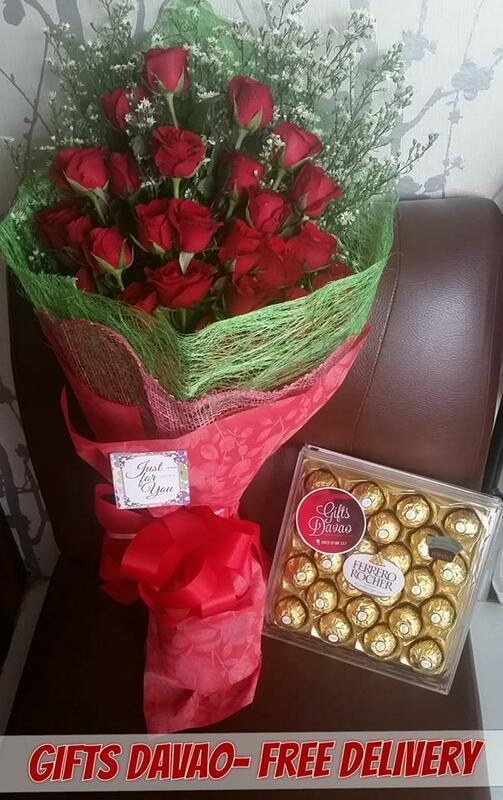 Show your love with a bouquet of two dozens long stemmed red roses plus one big box of Ferrero Rocher chocolates. This is available for only P2,950. This combination is a winner! Add a sweet note on the free gift card that comes along with this classic combo. You know what they say—you can never go wrong with flowers and chocolates! Wine and dine? 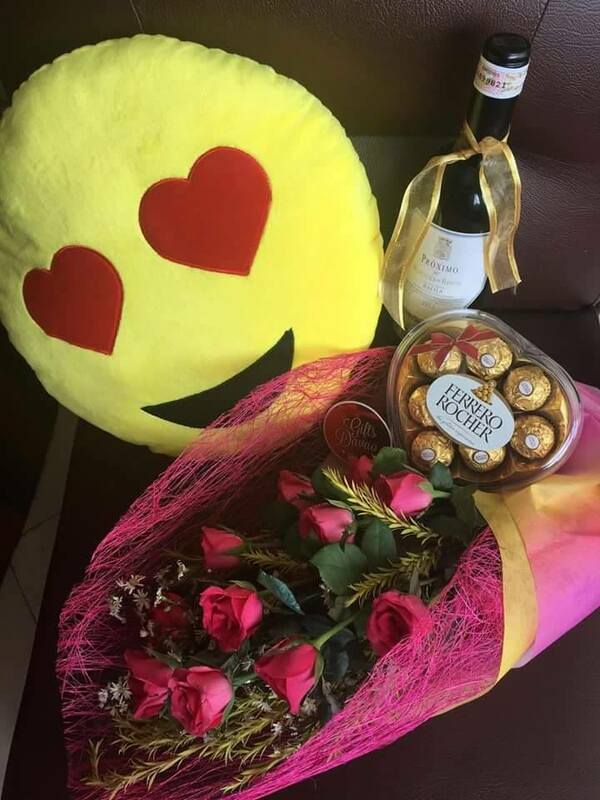 A lovely Valentine’s day dinner is made better with this surprise: a dozen long stemmed pink roses bouquet, heart shaped Ferrero Rocher chocolate, love emoji pillow and imported wine. Have it delivered while you are in a resto or at home, for only P3,350. Order flowers, order giftsYour perfect date night is guaranteed. Feeling extra creative? 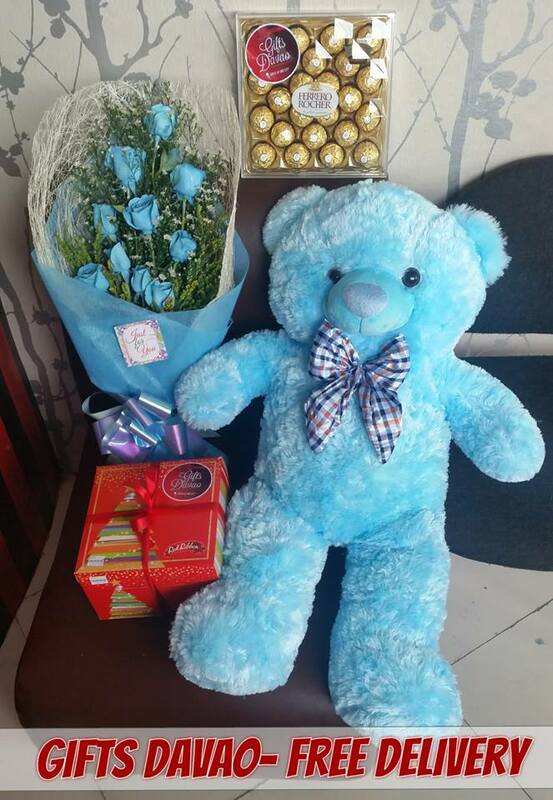 Prove that blue does not have to be sad with a dozen long stemmed blue roses bouquet, chocolate moist cake, 3ft huggable blue bear, and a big Box Ferrero Rocher chocolate, available for only P5,250. Your special someone would surely feel extra happy. Blue lovers, raise your hands! How big is your love? A 6ft huggable pink bear plus two dozens of Ferrero Rocher is the perfect Valentine’s gift if you want to be extra grand in expressing your adoration. Provide a fluffy comfort while you’re away, or who knows, you might finally make her say yes with this cute gift combination! 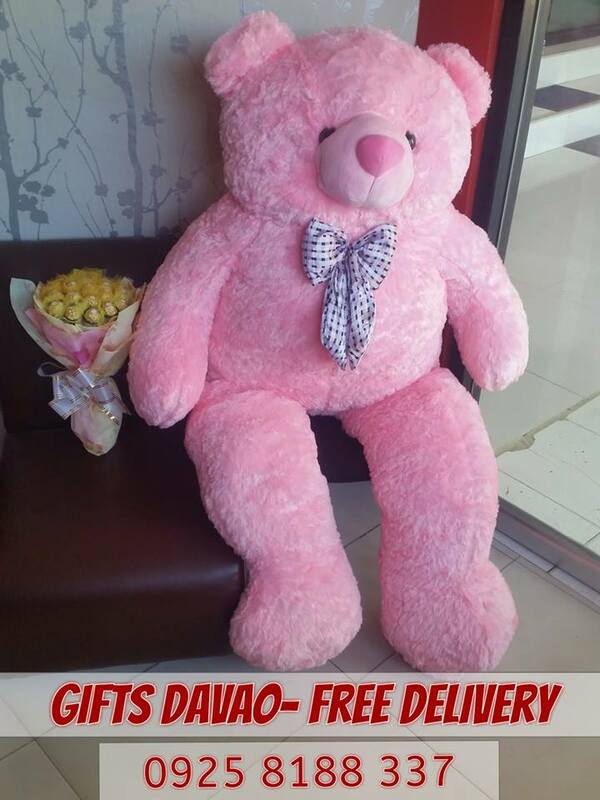 Available at an unbelievably affordable price of P5,400 only, with free delivery anywhere in Davao to save you the hassle of bringing in your big Valentine’s surprise. Those are just five of the best Valentine’s day orders you can book at Gifts Davao. You can add on some personal gifts and notes to make your surprise really awesome, or better yet show up with a hug and a kiss. Just remember, love is not to be shown just on Valentine’s Day, but is to be practiced every single day of the entire year.